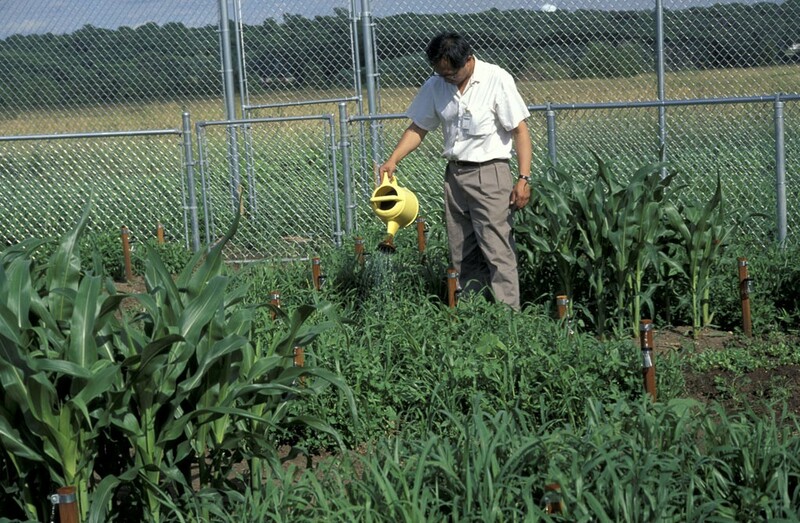 The divisions are also functional, separating different varieties of plants from each other for study. 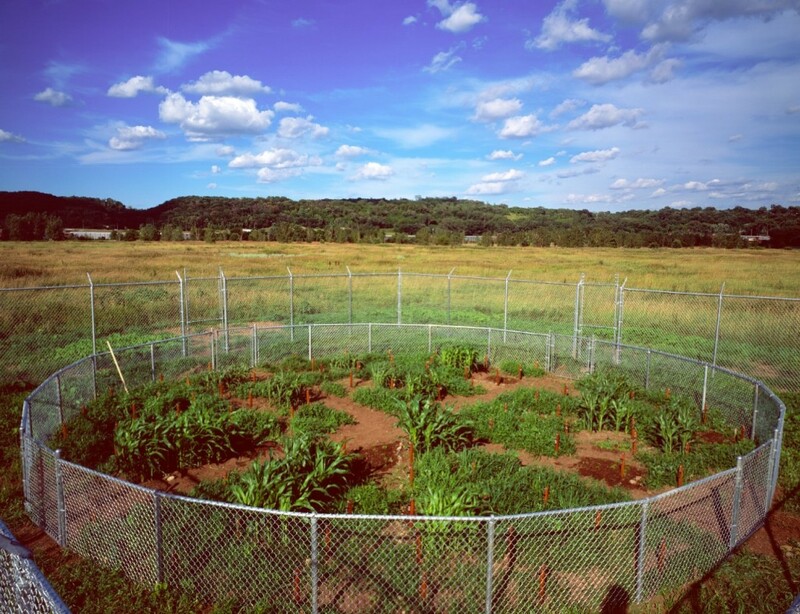 In the circular field the intersecting paths create four fields where six types of plants and two pH and two fertilizer tests can occur in each quadrant. The land area between the square and circle functions as a control plot where plants will be seeded with local grasses. 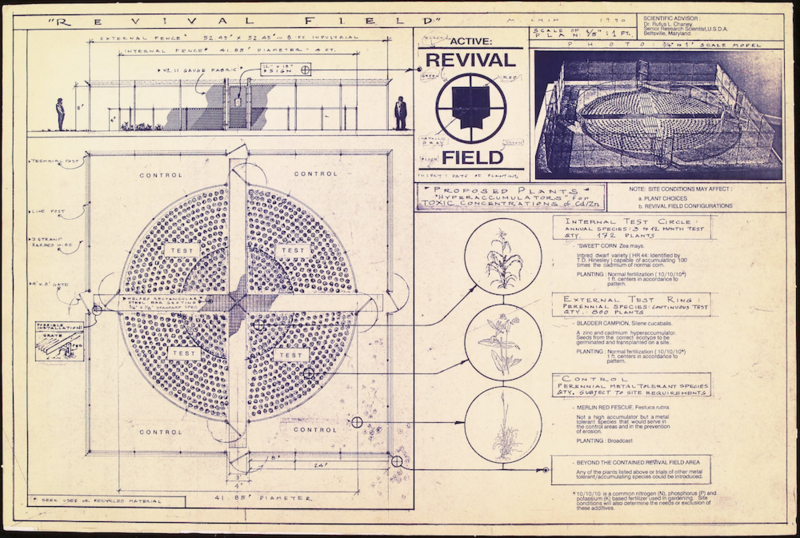 The design for revival field facilitates the chemical analysis of each section.